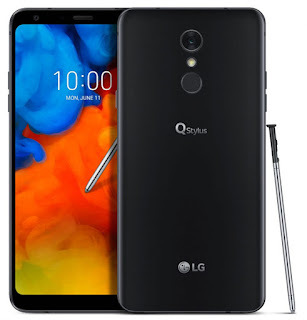 Long time inaudible, LG Mobile again presents its latest smartphone device called LG Q Stylus. Not much different from the LG Q7 which comes with 3 choices, the LG Q Stylus is also available with 3 different options namely LG Q Stylus, LG Q Stylusα and LG Q Stylus +. Although comes with different versions, the LG Q Stylus series has a screen diagonal similarity of 6.2 inches, FHD + 2160 x 1080 pixels resolution, with 18: 9 aspect ratio aspect. In addition, these three devices also have a standard certificate MIL-STD 810G. For sophistication, LG Q Stylus series will be present premises option option octa-core processor 1.5GHz and octa-core 1.8GHz. LG Q Stylus and Q Stylus α will be accompanied with 3GB of RAM and 32GB of internal memory, while for LG Q Stylus + comes with 4GB of RAM and 64GB of internal memory. All types of Stylus has a microSD card slot that can be maximized up to 2 TB. Photography affairs, the three latest LG devices have a slightly different configuration. For LG Q Stylus and Q Stylus + will be equipped with rear camera 16 megapixel and 8 megapixel front camera. The LG Q Stylus α comes with a lower back camera resolution of 13 megapixels and a 5 megapixel front camera. 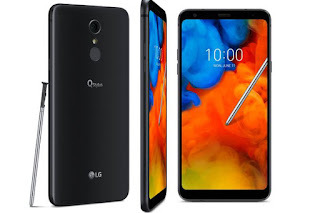 Smartphone with dimensions of body 160.15 x 77.75 x 8.4mm and weighs 172 grams is equipped with typical features typical LG mobile phone such as QLens, DTS: X 3D Surround Sound, Stylus Pen, fingerprint scanner sensor, 3300 plus fast charging battery and all three will run with Android OS 8.1 Oreo. Especially for LG Q Stylus and Q Stylus + has its own privileges because for this type LG membekalinya with waterproof and dustproof thanks to IP68 certificate. The LG Q Stylus series will be available in the US and Asian mobile market from the third quarter with a choice of Moroccan Blue, Aurora Black and Lavender Violet colors. 0 Response to "LG Q Stylus Series Officially Introduced, Have 3 Variants"